Has My Website or WordPress Blog Been Hacked? Our rates for website security range from $30 to $279. Call Jim or click the Chat bubble below for more details. With over 20 years experience and a long list of “verifiable” customer testimonials, our trained Website Security Team will identify and remove malware, work to fix website security issues, and do our best to help you better monitor and prevent your website from being hacked in the future. 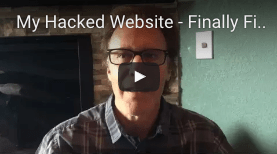 How can we guarantee we will clear & recover your hacked website? We’ve been securing websites since 1997. We have developed a range of tools to help quickly identify and clear malicious scripts or hacker code from your website pages. We do not outsource our work. Everything is done in-house, here in San Diego, California. Our cleanup process includes working directly with Google on your behalf to ensure your website is unblocked within Google.com or Bing.com as quickly as possible. We start fixing your site immediately and will follow-up until the matter is fully resolved. Our goal is prevention. We will educate you so this doesn’t happen again. We provide you with a full security review and recommendations report. We include WordPress security plugin installation. We bill a flat rate for our services (no surprise charges). We will teach you how to better secure WordPress. We have years of advanced WordPress expertise. We inspect every file on your site for malware. We clear all hack related issues, including blackhat SEO spam injections, phishing, drive-by downloads, backdoors, and other malicious files. We will upgrade your blog(s) and update all plugins as needed. Money back guarantee if we are not able to resolve your malware issue! 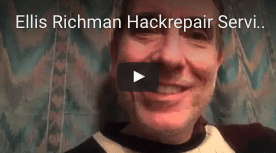 Review 100’s of customer service testimonials about HackRepair.com services? Read more HackRepair.com service reviews on Facebook. A WordPress Security Planning Guide – Is Your Mom Missing Her BUMM? Do you provide this service on Drupal sites? Yes. Love working on Drupal sites. Though it’s important that you work to upgrade your Drupal site before you have someone do security work for you. I am using iThemes Security and when I enable your black list feature you block robot “Jakarta Commons-HttpClient/3.1” It is robot from Czech Republic payment gateway gopay .com (I have no idea why there is Jakarta in the robot name). So it is not possible use your HackRepair.com’s blacklist feature with this payment gateway. What a shame. Nice feature. You may still use the list. After enabling, just view your .htaccess file within your file manager/editor and delete the line respectively. The Commons HttpClient project was end of life years ago (2011), long since replaced by Apache HttpComponents. If a legitimate company is still using the Commons HttpClient that would tell you a lot about the company still using it. Hello! How do you charge for multiple websites? All 4 that on my hosting account are blacklisted. Thank you for allowing me to help. Looking good once again. Need help with my site, it is definitely infected with malware. Would like to hire your company. Urgently need help. Thank you for allowing me to help. Your website is looking wonderful once again! Hi – I’m told by the nice people at Godaddy that my wordpress site has been hacked, & would love to find someone to work on this asap. Was good speaking with you Steve. Turns out your site is only showing as compromised in Norton Web Safe. So follow my recommendations we discussed by phone and you should be good moving forward. I’m receiving this error message when I attempt to open my website at davidhawk.com. Not sure what is wrong. Is this something you can help me with? Is most likely a plugin error. Then try site. If it loads, then add back a few plugins at a time till you find the offending plugin. Site has been hacked. Need immediate assistance and help preventing this person from getting in again, please! Urgent help needed. Yes, HackRepair.com is all about customer service and understanding the needs of folks whose sites have been hacked. A fixed rate doesn’t always cover everyone’s specific needs. Our rates can vary from as low as $30 to as high as $279 (which includes the updating and securing of up to three WordPress websites in a shared account). We actually “require” voice consultation before we’ll work with a new client customer. That way we can ensure we provide the best customer service possible to every person we work with equally.